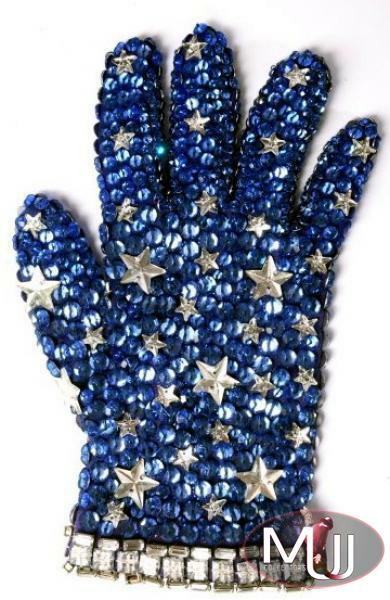 Blue spandex, right hand glove completely covered with deep blue Swarovski crystals and decorated with silver beads in form of stars on the back. One of the eight "Fantasy Gloves" designed by Bill Whitten. 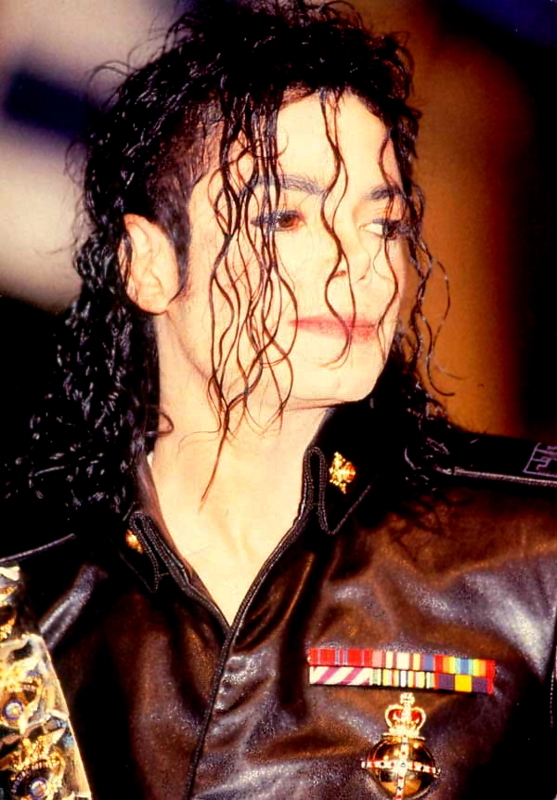 The glove can be seen in the opening sequence of Moonwalker, as the camera sweeps across Michael's dressing room table and was on public display at the Los Angeles GRAMMY Museum until April 12, 2009. Part of the "Neverland Collection" ("Memorabilia From the Life and Career of Michael Jackson" catalog) auction that was to be held by Julien's Auctions April 14th-25th, 2009. The auction was halted by court injunction and never took place. All screen captures are the property of their respective owners.